The Box is just another example of why Richard Chizmar is a great author. 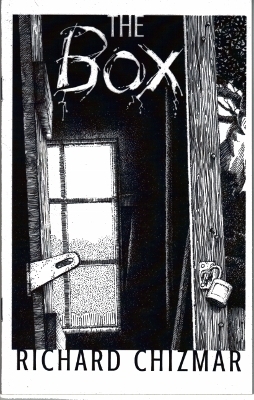 The Box is a chapbook that was published exclusively for the members of the Cemetery Dance Collector’s Club 4. Annie (a housewife) finds something horrendous in her son’s bedroom while her son and daughter are at school. This is a really short story (around 14 pages), so I don’t want to give away to much. I think the one line description on Goodreads reveals too much. This chapbook packs a heavy punch. Richard Chizmar proves that he is a wordsmith! The ending is amazing and it will make your skin crawl. I recommend this short story to fans of horror!